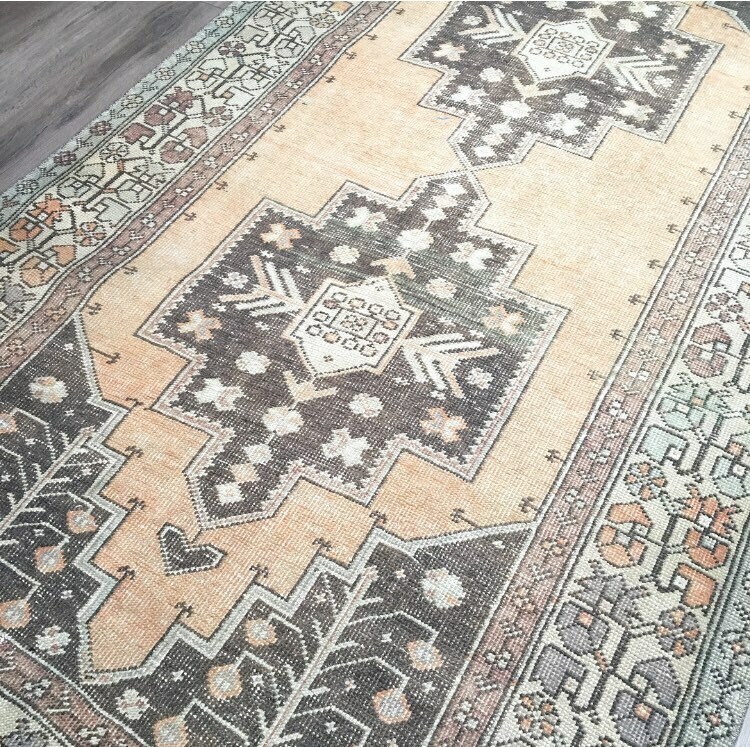 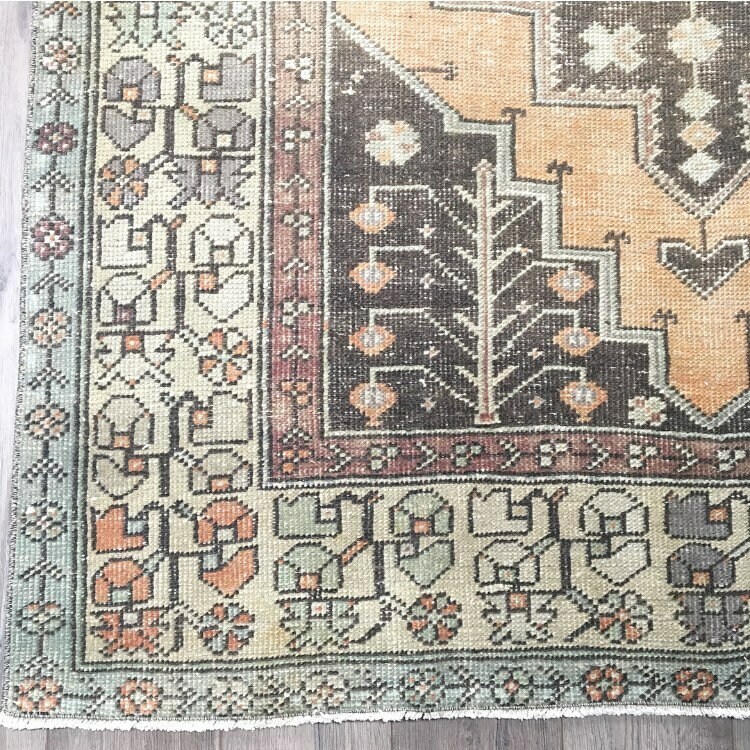 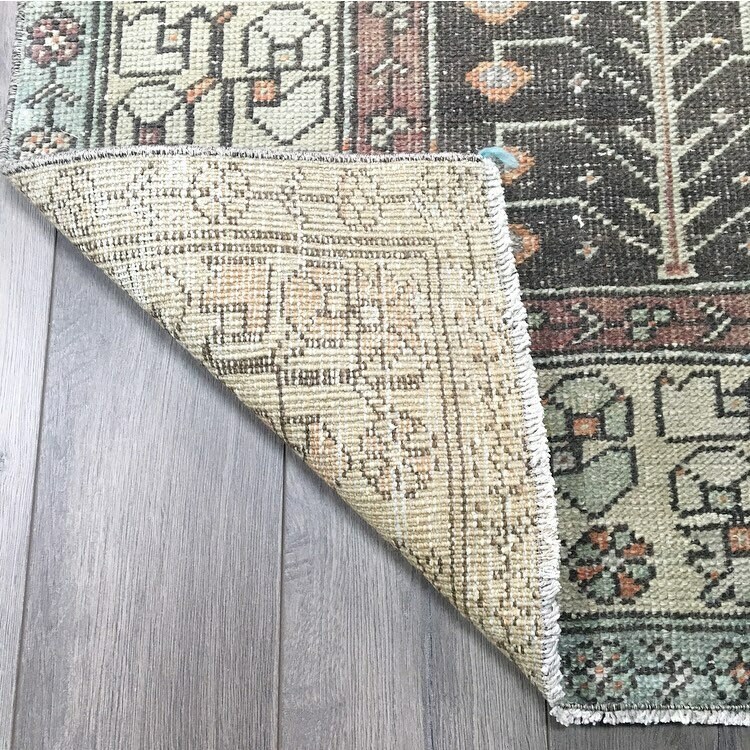 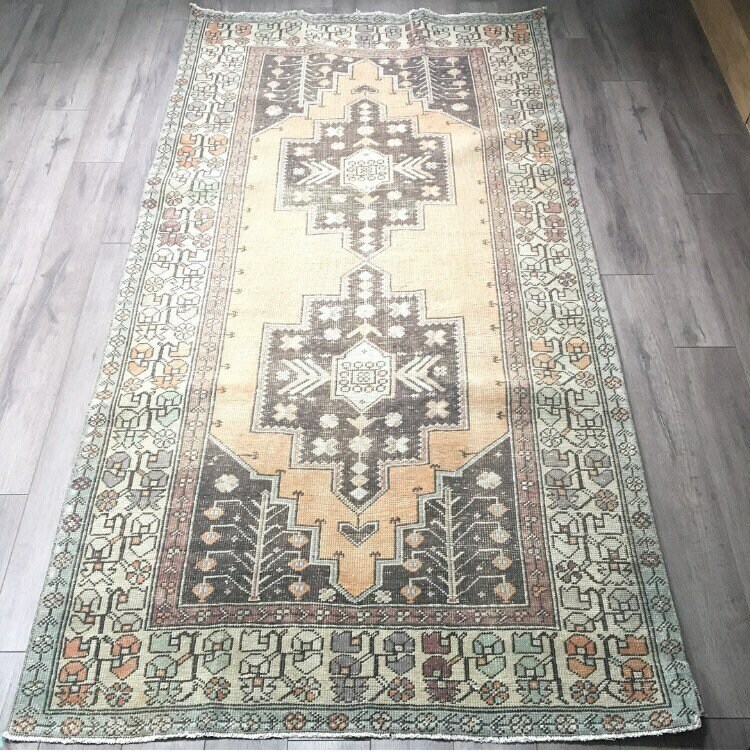 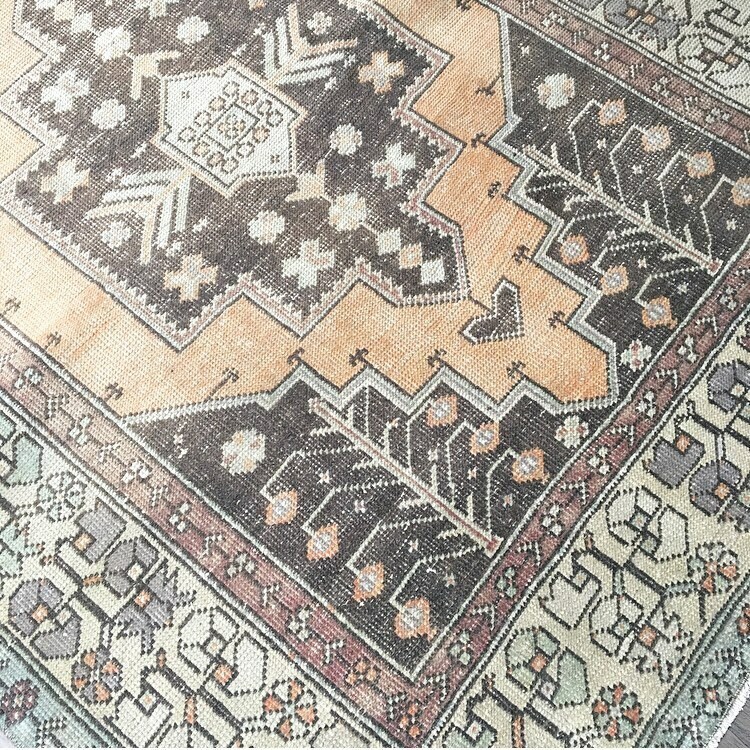 If you’re looking for a neutral rug with earthy tones and beautiful detailing, this Vintage Turkish Oushak could be the one! 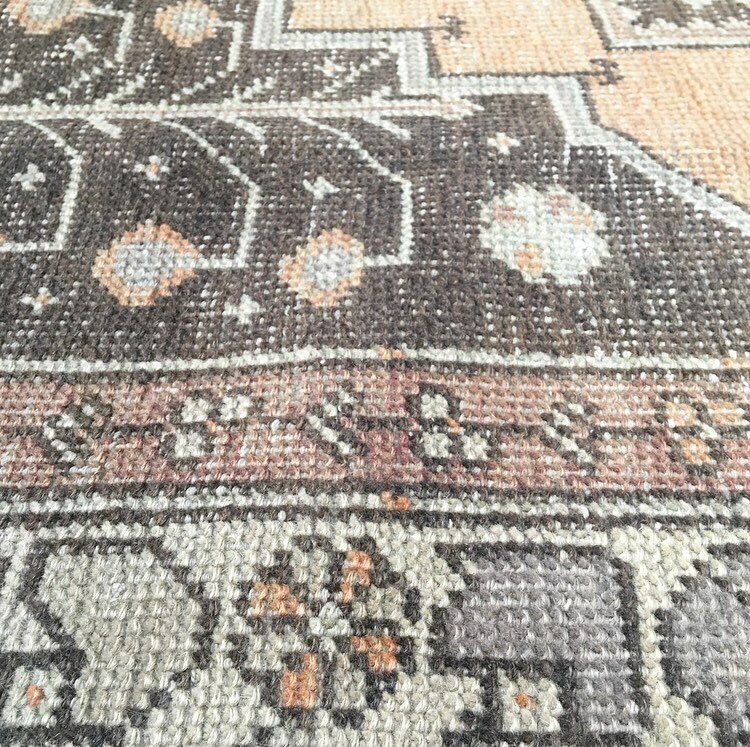 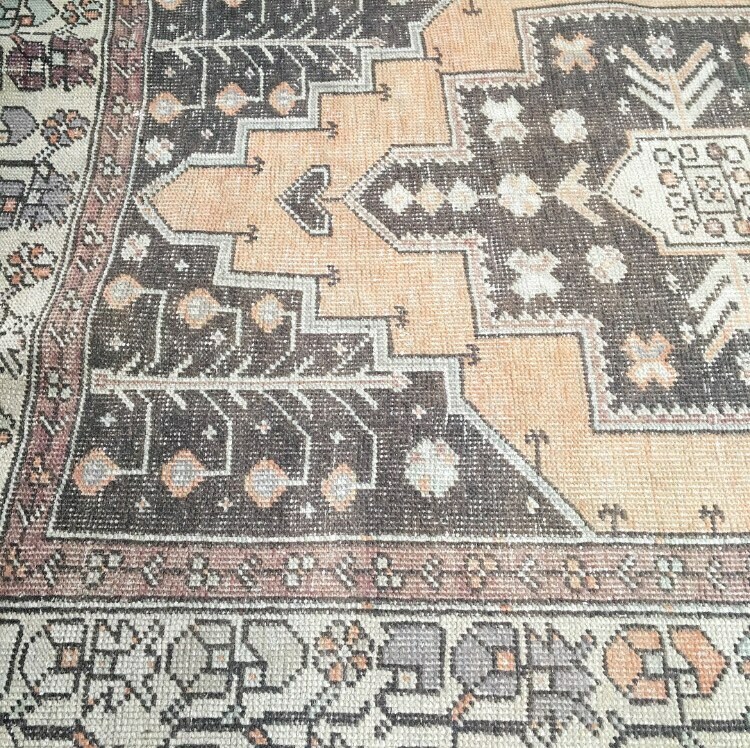 This rug was hand-knotted in Turkey in the 1940s and includes subtle floral details. 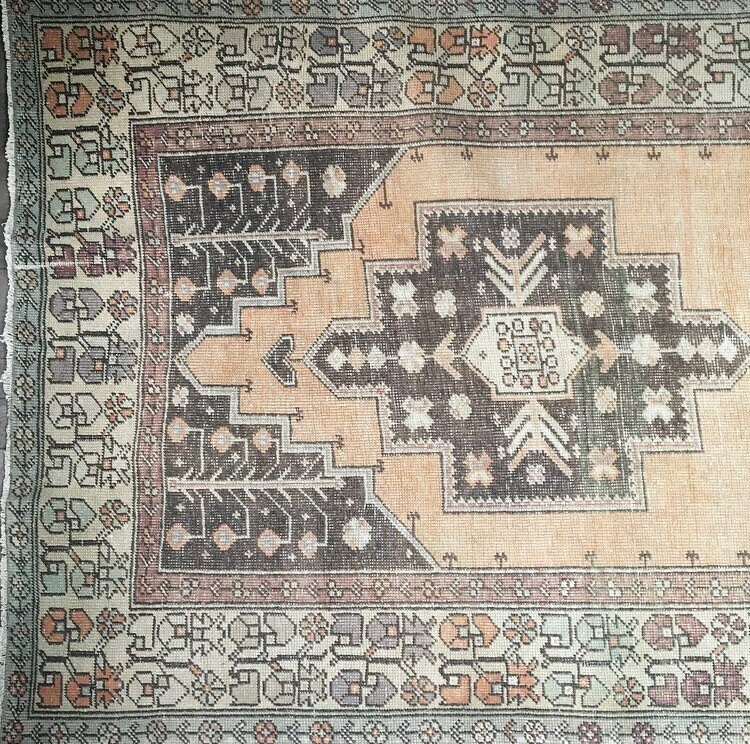 The two centre medallion sit on a beige coloured field, with sage, grey, and brown details in the borders. 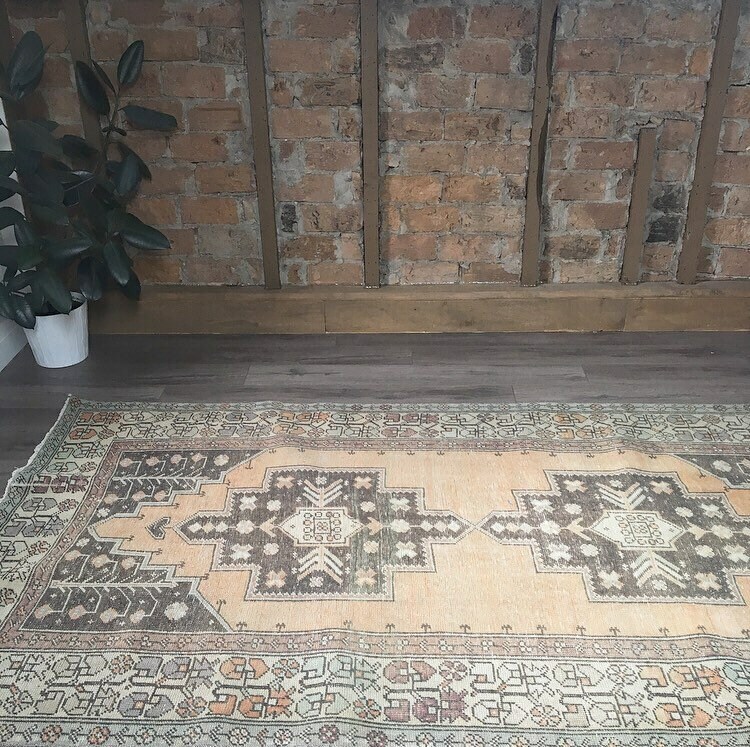 This rug is in good vintage condition but does have a few raised edges that would be best tucked under the edge of a sofa - we strongly believe this adds to the history and patina of the rug!